Conceptually, I’m not big on predicting what specific companies will or will not do. That’s what analysts are supposed to do. But we have talked plenty about Insieme over the last year and I feel like taking some guesses at what might be announced at Cisco Live US next week in an areas I think I know something about. It could be fun or foolish but I’ll take the punt. What the heck. I’m not going to link to sources for rumours. I just don’t have time to look them up. If you have been following along, you will know most of this already. I’m just stringing my ideas together. Insieme is led by the same team that developed Cisco UCS, VIC, Nexus 2000 & the Nexus 5000 family. Before that they did something else (that I don’t remember that made them rich). People have lots of expectations for the team because they have been successful twice before. Therefore, third time is a shoe in. Or is it ? What are they Developing ? My best guess is that it’s SDN related. Lets face it, SDN has been progressively dominating networking discussions for about three years now and Cisco is not going to a trend that big. Cisco is a company that extracts about USD$40B per annum from customer pockets with a 70% market share at 65% gross profit margin that it needs to defend. In my mind, Cisco hasn’t disclosed a strong SDN strategy that covers their core business values and this suggests that Insieme is the product that will cover that gap. Sure, Open Daylight is a thing, just like OpenStack is a thing, and video is a thing – Cisco has plenty of cash to have lots of things going on at the same time. Its not a startup, it’s behemoth that covers all the bases. So it’s time for Cisco to close over the product gap in the data center for Orchestration and Automation. CIAC, Tidal and Hyperdive haven’t made it big in the orchestration space and Cisco needs to be there to move up the stack and compete with VCE, EMC and BMC and not to forget smaller companies like Anuta, Tail-F and more. TechTarget published an article a while back indicating that Insieme was hiring engineers to build chips. Cisco has made several announcements in the last six months, from John Chambers down to product managers, that make repeated statements about silicon fabrication being a core value. It makes sense that someone told Insieme that they have to make a hardware platform. Other evidence is that the Nexus 6000, Catalyst 6500 updates, Nexus 7000 upgrades and Catalust 29xx/39xx have all been flushed out of development and into shipping over the last six months. There doesn’t seem to be anything more to announce in what is Cisco core revenue unit. I think that there is a lot of coincidences that support a big hardware announcement sometime about now and Cisco Live US is a perfect opportunity to do that. Lets go big or go home. Insieme will approximately look like Juniper QFabric because …. well …… what else could it be ? That is, an Ethernet fabric that support end-to-end application coherence with a Network Controller that it tightly bound to switch hardware. 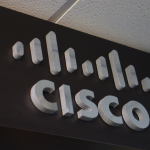 It will use onePK APIs to offer all features to all people because that’s what Cisco does. Summary of onePK: You want to use IP routing in the core using OSPF, onePK can do that. You want OpenFlow, you want MPLS, you want to use overlay networks ? Yeah, yeah. onePK does all of that, now give me a purchase order. Iseieme can’t be a Leaf/Spine (CLOS Fabric) switch fabric like the Nexus 6000. It can’t be a multiservice platform like the Nexus 7000 or recently rescued-from-the-dumpster Catalyst 6500. We already have fancy edge switches for Cisco UCS called Fabric Interconnects. The Nexus 5500 does Top of Rack duties. What’s left ? A cheap, ODM style switch would undermine top line pricing structure. It’s remotely possible that Insieme has gone big create a SeaMicro style compute fabric. A compute fabric is conceptually the idea of a “PCI interconnect” that connects disk drive, memory and CPU with a fancy network. But given that Insieme was rumoured to have started out as a software startup this seems unlikely to me. Insieme has created a fair amount of bad blood with Cisco employees left behind since most engineers came from Cisco and are offered large bonuses for success. Hard to earn the Cisco base wage while the guy next to you gets a whacking great payout. This is likely to count against their product when the company gets brought back into Cisco. How much impact ? Who knows. If the product is successful people will probably forget after a few months (that’s human nature). If my guesses are correct and I have to pick win or lose then I’ll back my guesses and go with #fail. Two big reasons – Big Silicon and Over-Integration. Consider recent announcements from [Arista that cut the price of 100GbE[(http://etherealmind.com/nerdgasm-arista–100gb-ethernet-just-blew-my-data-centre-design-up/) to USD$10K per port. It’s always cheaper to buy more bandwidth than to buy a fancy switch with hundreds of nerd knobs to solve network problems. Always. Cisco has a product strategy that I called “Deep Integration” to appeal to customers. By this, I mean selling products that large numbers of features, many obscure capabilities and sundry unusual features. This is presented to customers as covering all their requirements whether known or unknown and has been successful practice for some time. Cisco’s defining strategy has been the continuous addition of features and functions to the software. Consider that the Nexus 7000 was once a big, fast switch and today it’s a multifunction platform with service modules, golden crank handles and trays for spare token rings. (OK, I joked about the golden crank handles and token rings). But SDN negates much of this “funky chicken” product requirements. The abstraction provided by SDN removes much of the uncertainty in network design and “futures management” (I made that up) because the features we want are integration with OpenStack and VMware. My current perspective is that networking will be dominated by Overlay Networking in the next 3 to 5 years before we transition to using flow forwarding in the physical network. Three years is too long for Cisco to make a return on an investment like insiene with is rumoured to have a value approaching a billion bucks a year or so back. Bring on Cisco Live in Orlando, I’ll be there and watching the fun. Cisco is sponsoring Packet Pushers to attend Cisco Live 2013 in Orlando Florida where I’ll record shows, meet people, have dinners, some beers & the usual event stuff. I don’t accept gifts as a general rule because it’s cheap crap that I don’t want. I mean, squeezy balls, puh-leease. I’m racing this blog post out to get ahead of pre-briefings for the event which will prevent me from talking . My full disclosure statement is here. If I get gifted anything of value, you will find it listed there.